Many insurance companies now pay for acupuncture treatment. Should your insurance not cover this therapy, Think Acupuncture is contracted with most insurance companies to provide a discounted rate. 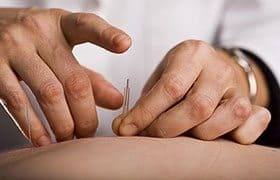 Enter your information below and the Think Acupuncture staff will gladly qualify your insurance. Be sure to include the best contact number should we need more information. Most Workers Compensation and All No Fault Automobile Insurances covers acupuncture. Other companies include Empire, United Healthcare, Cigna, Oxford, Aetna, HIP, GHI, and many more.